We Take Care of Our Own. | Knit Like You Mean It. Andy actually in a yarn shop?!? 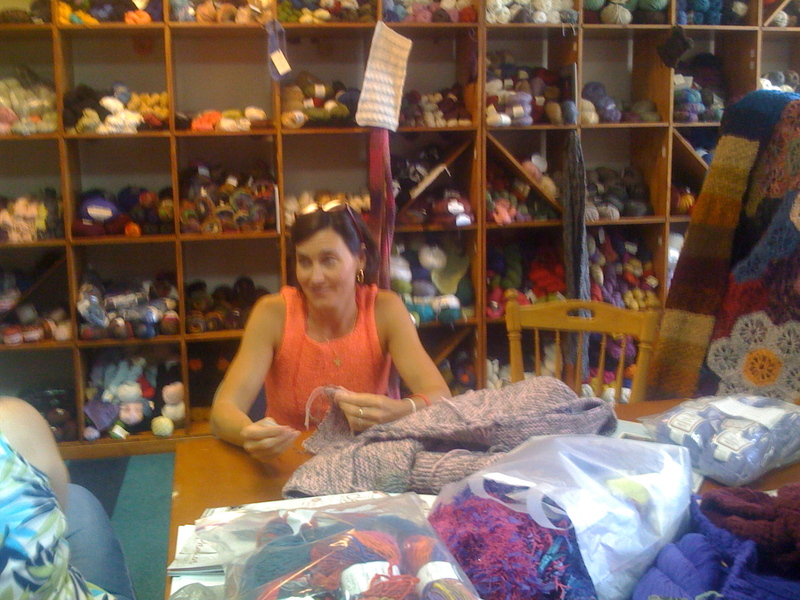 Yarn Shop #1: Ewenique Yarns. Our detour for needles in Maryland was really, really fun. At Ewenique Yarns (rav grp) in Bel Air, not only did I get some lovely clover circular 7s — on which I would, later, immediately get the correct gauge — but also some gorgeous Manos yarn, and excellent insider information on traffic and the area. As soon as I told Maggie Jackovitz, the owner, what I was up to (“I left my husband in the car! I need some size 7 circular needles!”) she and her husband, Steve, snapped into action. They insisted I bring Andy in for a cold drink, a bathroom break, and some directions. There was an awful car accident on I-95, we learned, and Steve and Maggie saved us a couple of hours of misery by directing us through Maryland on a back road that was not just clear, but beautiful. 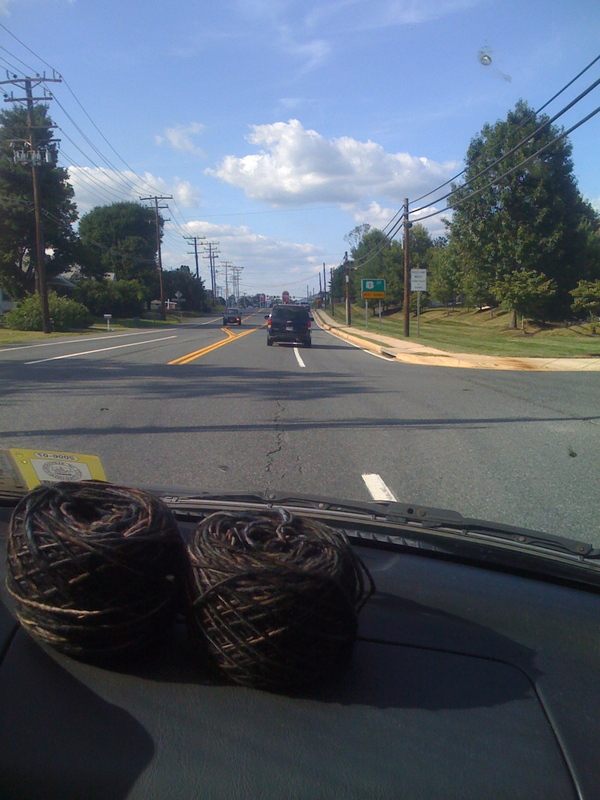 I bounced out to the car and brought Andy in; while he and Steve pored over Google Maps, I talked to Maggie about knitting and teaching and just how much we enjoy them both. 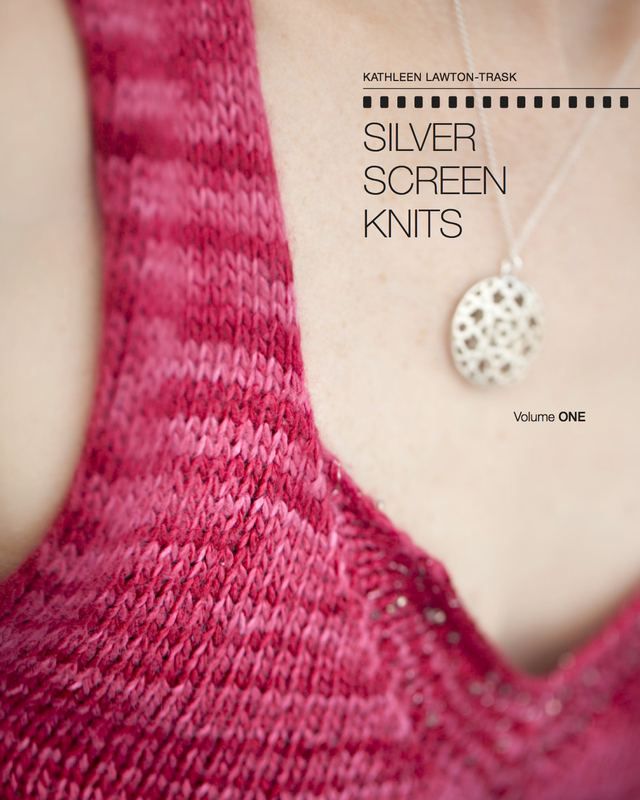 This is something I love about knitters, at our best: we take care of our own. Most every yarn shop I walk into is its own little small town, with a community of knitter-neighbors who help each other through life’s bumps. And if I stranger happens to wander through, they’re just one of the gang. Maggie was sitting at a large table in the middle of the store, seaming up what looked suspiciously like an Elizabeth Zimmermann Adult Surprise Jacket (but, given that the ASJ has no seams, and judging from the shop’s blog and ravelry group, is more likely to have been a Hanne Falkenberg pattern, or possibly the Sally Melville Einstein Coat (rav lnk)). Two other knitters were there, working on their projects and gabbing. One, Patty, said I could only take a photo of her with the other two. Since those didn’t come out…I can’t show you Patty! But she was friendly and working on a lovely orange sweater. Meanwhile, Steve was at the register – a CPA, he comes in once a week to pay bills. Maggie told me that they, too, had spent a lot of time on road trips, stopping in yarn shops for forgotten items (or just to explore). What I liked best about this place was that it felt both homey and open. A community of insiders can be a little too close when an outsider wanders in; a gathering of people who don’t really know each other can feel awkward. This little interlude was neither. Maggie seemed really to know the women at the table; she remembered Patty’s favorite yarn, and, later, broke into her own project bag to give her the color she needed for her next project. Maggie and Steve, watch out: we’ll be up your way again.